Craig Bellamy: Misunderstood goal-hunting genius or a manager's uncontrollable nightmare? The Welsh international's career has been littered with more contradictions than President Richard Nixon's guide to White House etiquette. Blessed with uncanny speed and agility, Bellamy couples his undoubted striking prowess with a seemingly intrinsic ability to annoy opposing fans, managers and his own team-mates. Court-room appearances and nightclub brawls have sadly been as much of the Bellamy story as his on-field exploits - but without doubt he's a talented big game player when he puts his mind to it. This week encapsulated Bellamy's life in the beautiful game. It began with reports of a training camp bust-up with Liverpool team-mate John Arne Riise. It ended with Bellamy scoring one and setting up the winner for - who else? - Riise, as the Reds sealed a brilliant 2-1 Champions League victory in Barcelona. Such is Bellamy's melodramatic life on and off the pitch, manager Rafael Benitez could have almost written the script and handed it in to the Uefa officials with his team-sheet at the Nou Camp. His colourful career has attracted pure venom from some big names in the game - while others have struggled to hide their admiration of his goal-scoring instincts. So here, BBC Sport recalls just some of the opinions from some key figures in the game who have voiced their views of football's one-man soccer soap opera. "He is not a one dimensional player, he has a bit of everything and has the ability and intelligence to take information on." (After signing Bellamy for Coventry, August 2000). "We've got a player who I feel is one of the best of his type in Europe." (After signing Bellamy for Rovers in July 2005). "Craig played in midfield and I thought he was Lubo Moravcik for a while, making little incisive passes in around the box." (O'Neill praises Bellamy during his Parkhead loan spell). "I don't think Craig's self-belief is a bad thing - strikers are a different breed." (the former BBC Sports columnist on Bellamy's on-field confidence). "Craig's a quality player, quality players don't become available very often and that's why we've made the offer." (On trying to buy the striker from Newcastle in January 2005). "Craig is the closest thing to Kevin Keegan. Their work-rates are very similar - Craig just runs and runs, and so did Kevin." 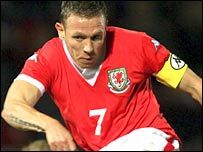 (Toshack compares Bellamy to his old Liverpool team-mate, November 2006). 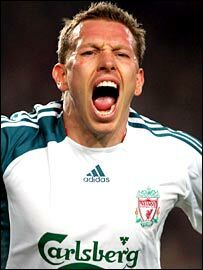 "What Craig Bellamy should do is just honour his contract. At the moment, he is doing too much talking. He should just concentrate on playing and scoring goals for this club." "He can't play for me ever again. He has been a disruptive influence from the minute I walked into this club. He can't go on television and accuse me of telling lies." "I've never come across so much hatred and unrest over one person - what I've learned about him has astonished me." (After Bellamy's row with Graeme Souness). "Alan Shearer told Bellamy he would knock his block off if he ever returned to Newcastle." "I'll be having a word. I've been here four years now and you simply cannot afford to go around like he does and say the things he does". 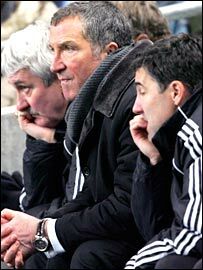 (The ex-Celtic striker was happy to give advice while Bellamy was on loan at Parkhead). "He has the ability, the pace and the talent we've been looking for." "I am really pleased for Bellamy and Riise. The atmosphere in the team is very good. The training camp in Portugal was helpful. The players' commitment was good before and after the problems." "Bellamy's got that extra quality the team has been lacking, which is lightning pace. For me, there's no risk at all at £6m." (The Reds' legendary striker on Bellamy's transfer to Liverpool last summer).